Santas Gift Shop info about the game-Games2Rule. 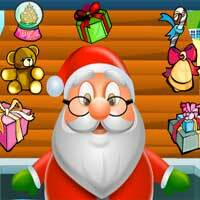 Santas Gift Shop is a time management game. Christmas is near so its shopping time! Buy gifts for the ones you love and try to get ready for Christmas. You can be Santa for one day so make all the people happy and help them buy the gifts that they want. You must be quick and try to sell your gift fast because time is flying.